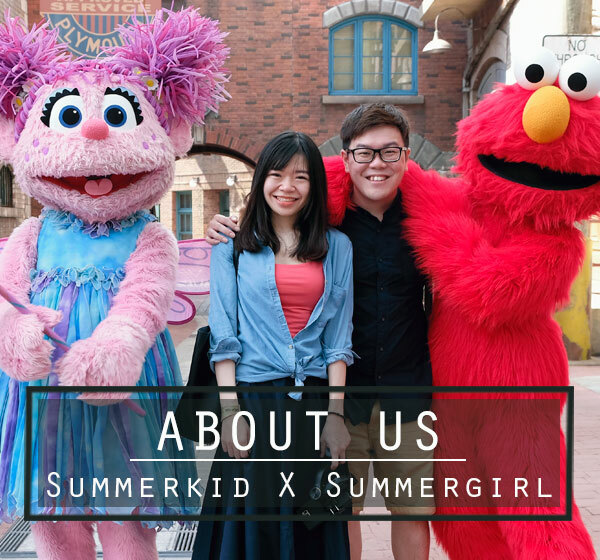 Ever since our first travel out from Malaysia in Taiwan, we started to learn the importance of distance. Travel distance from public transport like bus, van and LRT/MRT station to our destination counts, especially when travelling between cities with heavy luggage. We tried to minimize the walking distance, as even 15 minutes of walking back to hotel always turn out to be like forever after we were out hopping up and down for the whole day. 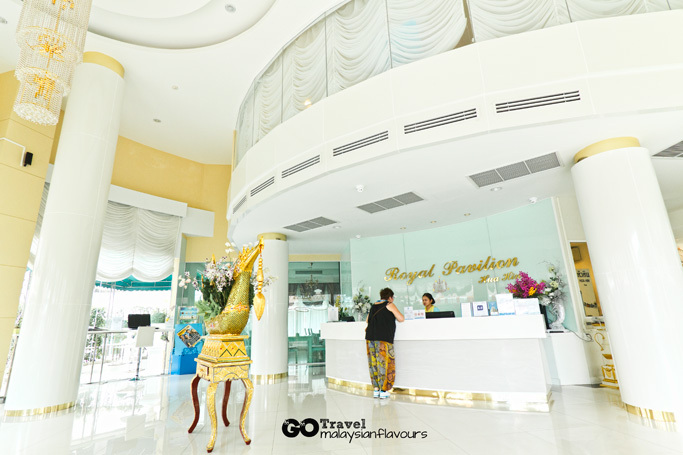 So, during our visit to Hua Hin, Thailand, we chose to stay in Royal Pavilion Hua Hin Hotel, a hotel strategically located right in the heart of this small town. Plus point of the hotel: the van from Hua Hin back to Bangkok is right beside the hotel, is like, 30 seconds of walking to reach. Save all the walking energy, dragging of big luggage under the hot sun if you were on budget travel between Bangkok-Hua Hin like us. Also, Hua Hin Railway station is of 10 minutes walking; Hua Hin Beach 5 minutes walking, Morning Market 3 minutes walking, and Hua Hin Night Market 5 minutes walking from hotel. 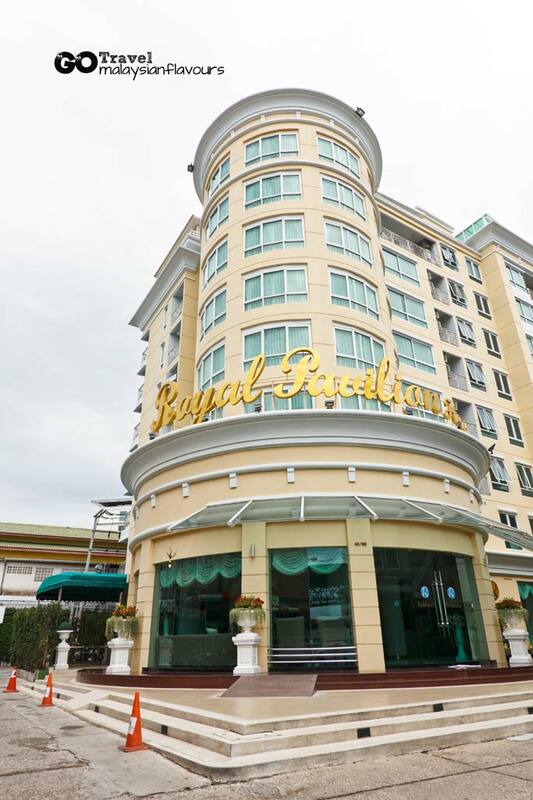 Though claimed as 4-star hotel, Royal Pavilion Hua Hin could hardly match the rating if we were to judge from the outer look, restaurant, lobby and so on. But this doesn’t matter, as the service is more than 4 star, excellent from the friendly staff who assisted us in carrying the luggage once we reached and opened the door for us each time; till the service counter staffs who tried their best in answering all our questions every time, despite the language gap. The hotel also provide shuttle bus to several tourist attractions including the beach, railway station, Plearn Wan and Cicada Market. The service is available at 10am, 1pm, 3pm, 6pm, and 8pm. Reserve for your seat by writing down your name, time and the place you want to go on the “shuttle bus service” booklet at lobby service counter. Try to use this hotel service if can, as tuk-tuk here charged unreasonably, e.g: 200bath for a trip from Cicada Market back to hotel, with no negotiation allowed. Apart from the service, we were happy with our 32 sq. meter Deluxe Room, bigger than enough to house just two of us. 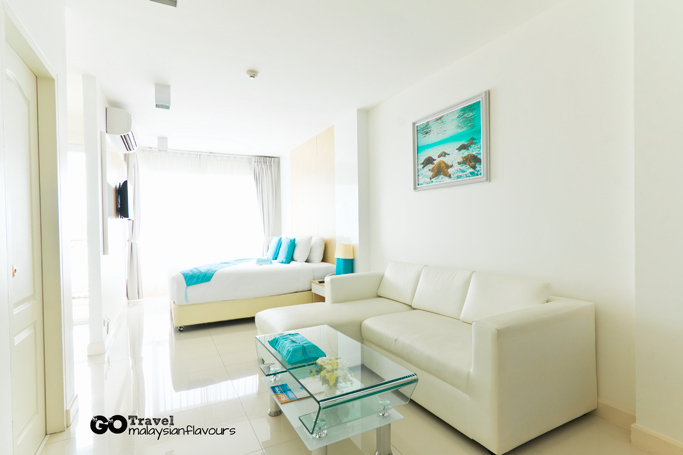 Clean and spacious, thanks to the white colour theme. 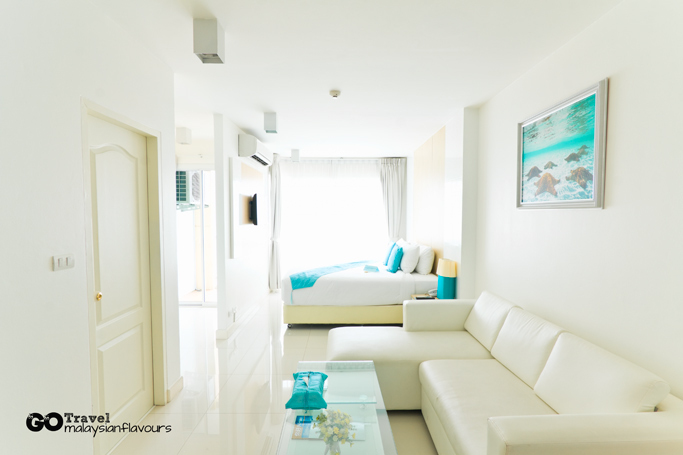 Almost everything in Royal Pavilion Hua Hin Hotel appears in white, from sofa to bed, walls, floor tiles and curtains. 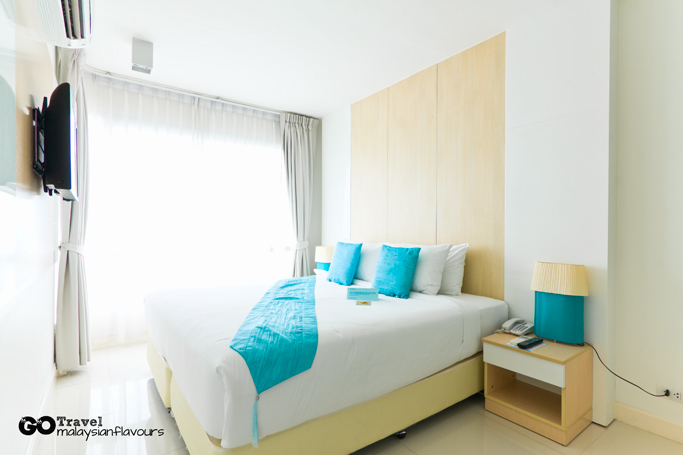 Design isn’t sophisticated and luxurious, but ideal for those looking for a comfortable hotel below RM200 in Hua Hin/Cha-am. Our room staying at Royal Pavilion Hua Hin Hotel is included with daily buffet breakfast- egg, coffee, noodles, fruits, etc., limited choices but sufficient to fill up your tummy. Else, you can just walk down the street and hunt for local street food such as fish ball noodles, duck noodles. The morning market is about 3 minutes walk from the hotel. Do not miss the Night Market which is is about 5 minutes walk from the hotel. Lots of seafood to discover. 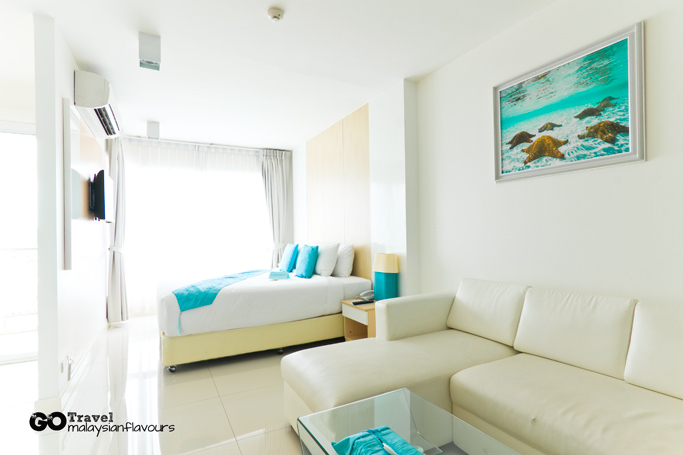 Safety deposit box, bathrobes, room shoes are well kept in the wardrobe. 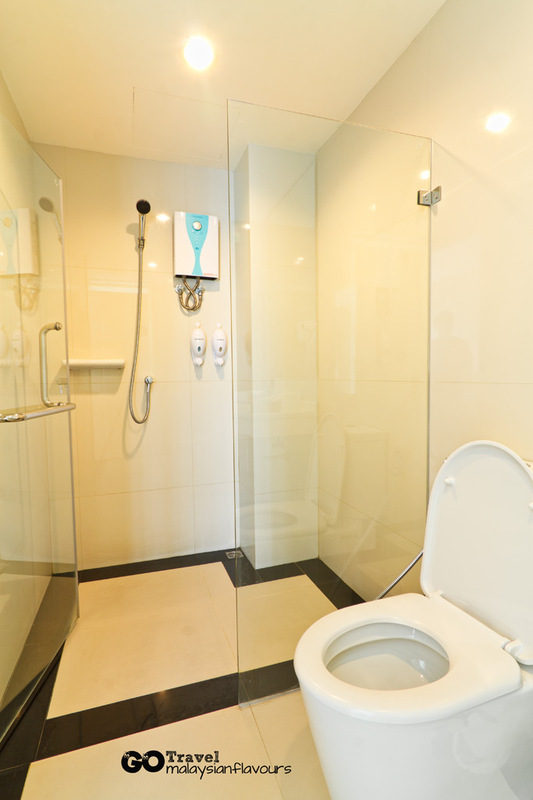 The toilet in Royal Pavilion Hua Hin Hotel is separated in dry and wet area, no bathtub. The shower heater wasn’t functioning once we checked in, leading us to bathe in cold water for two days. The hotel only fixed it after we reminded them for more than five times. Other than this, everything is just fine. View from our room at Royal Pavilion Hua Hin Hotel at 6.30am. 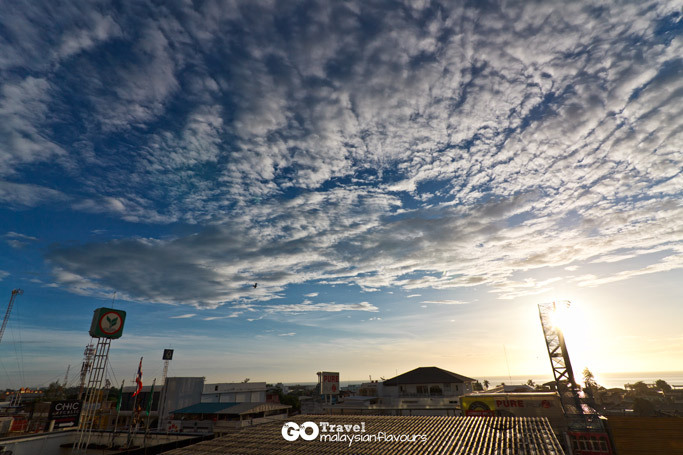 The morning of Hua Hin in July wakes up pretty early, contributing a bright but cloudy sky. The view isn’t awesome as those hotels reside by the seaside, but we were satisfied with its strategic location, close proximity to the city yet maintaining a calm, pleasing quietness. 4) Service is good, room is big. Free WIFI, free welcome drinks. Looking nice wo. how much per night stay?